An account of the Indian television newsroom is, in some ways, the story of post-liberalisation India itself. In just two decades, the country grew from state-owned Doordarshan’s monopoly to a market dominated by umpteen private news channels. English-language news has a particularly interesting trajectory here, both because of its disproportionate inﬂuence on the national conversation and its proximity to power. In this personal-is-political history of the television industry in India, veteran journalist Sandeep Bhushan takes an unﬂinching look at his own profession. What caused the death of ﬁeld-based reportage, and the marginalisation of reporters? What is access journalism, and what’s wrong with it? How did India evolve the star system? How did technology inﬂuence the development of the Indian newsroom? Is the reporter–editor relationship necessarily adversarial? How does the owner-editor system, perhaps unique to India, work in practice? What about corporate ownership? And importantly, how does India compare to more mature industries, like those in the USA or UK? 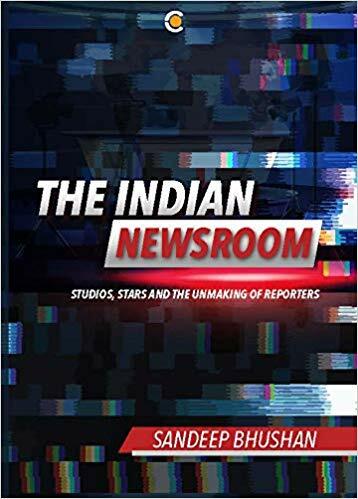 The Indian Newsroom is a straight-talking, behind-the-scenes look at the crisis in Indian news television by one of the best in the business, offering an examination of the choices that lie ahead for India—and the industry.